Since the establishment of YPS Valves Ltd in 1972, we have been supplying petrochemical plants, oil refineries, power generation plants (including nuclear) and off-shore sites across the globe with valves designed to meet their specific requirements. We have the knowledge, experience and expertise needed to produce high integrity high quality valves that stand the test of time under extreme conditions. All of our castings are sourced from Europe and the USA to ensure the highest levels of quality and durability. We also have an in-house purpose built testing facility in which we can perform cryogenic tests at temperatures as low as -196°C. 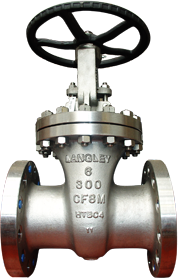 All valves can be supplied with modifications to make them suitable for services down to minus 196 deg Celsius. In house Cryogenic and Emission test facilities are available with bellows sealing.